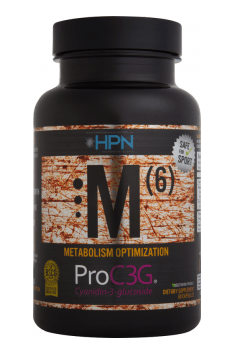 What speeds up metabolism and facilitates slimming? How to speed up metabolism and increase CPM? Apply our tricks! If you do not eat breakfast, your body will start limiting the burning of calories! Why? Lack of a meal is a state of emergency. There is no energy, you have to start saving. If you want to avoid this phenomenon, eat the first meal for an hour after waking up. A similar mechanism makes it easier to drink when the breaks between meals are very long (over 4 hours). The body goes into austerity mode. Often, during the day, you forget about food, and eat a large meal only in the evening. It’s a simple way to store body fat! 3. Do not be afraid of weight training! The more muscle you have, the more calories you burn! Every kilogram of muscle mass, even when quiescent, consumes an average of three times more calories than a kilogram of body fat. For this reason, people who have more muscles also have a higher caloric demand. Do not avoid strength training, because it is one of the factors that accelerate the metabolism. Spicy and warming spices increase blood circulation and temporarily boost the metabolism. It’s worth adding chili, cinnamon and ginger to dishes. All these spices can be used both for sweet and dry dishes. An additional plus – sharp meals fill up faster! 5. Add the source of protein to your meal! The protein causes the effect of the so-called postprandial thermogenesis – this is a several-hour acceleration of metabolism associated with the digestion of nutrients. This phenomenon occurs after every meal, but the strongest is after eating the protein. One of the most recommended methods for accelerating metabolism is the introduction of a protein source (eg meat, fish, dairy products, eggs, legumes) to each main meal. Drink non-caloric fluids, mainly water. Water is the environment of every biochemical reaction in the human body. Proper hydration is necessary for fat burning to take place. 7. Eat the products rich in iodine! Iodine is a mineral essential for the production of thyroid hormones. Thyroid regulates and significantly influences the release or acceleration of metabolism. If you want to lose weight, make sure your diet is rich in iodine sources. These include, for example, cod, halibut, eggs, cheese, iodized salt. Green tea contains theine, a compound of the alkaloid group similar in structure to caffeine. Teina accelerates metabolism and increases blood flow through the tissues, facilitating the burning of fat. Watch out! Green tea, like coffee, has a stimulating effect, so do not drink it in the evening. The right amount of sleep stabilizes the hormonal balance and reduces the secretion of cortisol. Cortisol is sometimes called the chronic stress hormone. Its increased concentration stimulates the storage of adipose tissue. Do you want to be slim? Sleep at least 7 hours! 10. Forget about miracle diets! Every miracle diet ended with a yo-yo effect makes your metabolism slow down. Another attempt to change eating habits becomes harder and the slimming effects come later or not at all. Give up rigorous diets if you want your metabolism to accelerate!